Visiting the Louvre in Paris is incomplete without having seen the famous Mona Lisa painting by Leonardo da Vinci. Likewise, a visit to the Egyptian Museum is not complete without visiting the Tutankhamun chamber where you find some of the finest depictions of this ruler of the 18th Dynasty. Probably one of the reasons for ithe chamber’s growing popularity is that it has been one of the recent excavations. 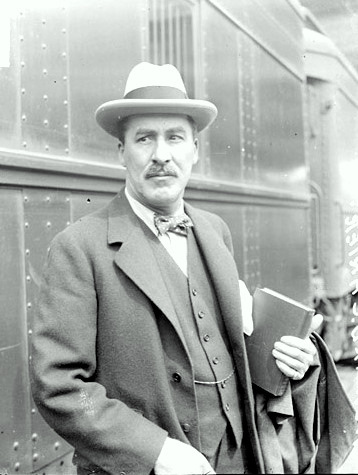 His tomb was found in the Valley of the Kings in Luxor as recently as 1922. In fact, the tomb was found in such an excellent condition that despite being partially robbed after its excavation, it still ranks amongst the greatest masterpieces on display at the Egyptian Museum. 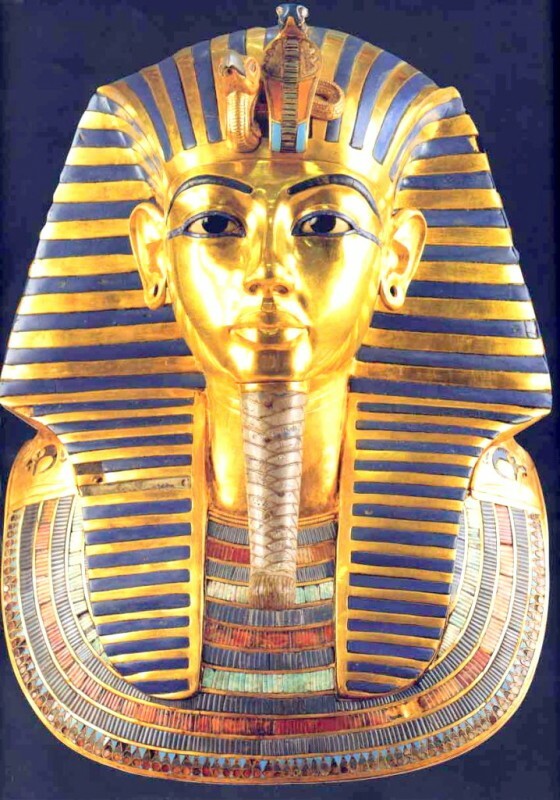 The most outstanding of the Tutankhamun treasures is the Gold Mask made of semi-precious stones and coloured glass. This magnificent mask was fitted directly on the face and shoulders of the mummy in the innermost coffin. Another striking masterpiece is the coffin containing Tutankhamun’s internal organs. The internal organs of the pharaoh were laid in 4 coffins each accommodating one of the internal organs i.e. the lungs, the liver, the stomach and the intestines which were removed from his body during mummification. 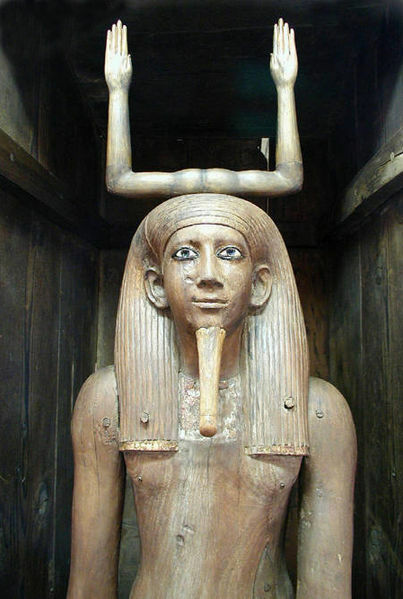 One of the most popular statues of which the replica is also found in souvenir shops, is the ‘Ka Statue of Tutankamun’. This statue was found on both sides of the entrance to the burial chamber as if to guard it. It is made of wood and bitumen. The pharaoh is standing with his left leg advancing forward, holding a mace in his right hand and a long staff in his left hand. The black colour on the statue signifies the colour of Egypt’s fertile soil and it also symbolizes rebirth and life. It was indeed interesting to find out from our Egyptologist guide as to how Howard Carter and his financier Theodore Davis found this tomb. They had carried out the excavation for almost 10 years when one fine day somewhere in 1922 a stone fell and they found a step. They removed the sand from the top of the step and found a second step. Soon they realized that they had been digging on the other side for almost 10 years in vain! On finding the two steps and digging even further they found 15 steps leading to an area where there were 3 tombs and a burial chamber. It was in the first tomb that they discovered most of the stuff. 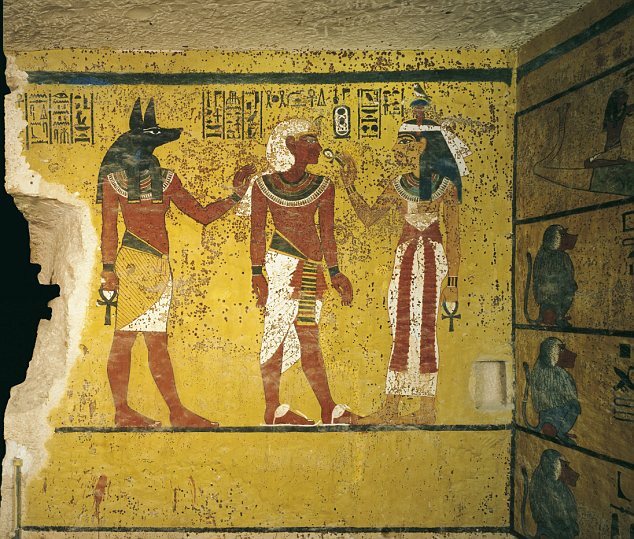 They discovered the third tomb much later where they found the internal organs of Tutankhamun kept in a burial chamber. 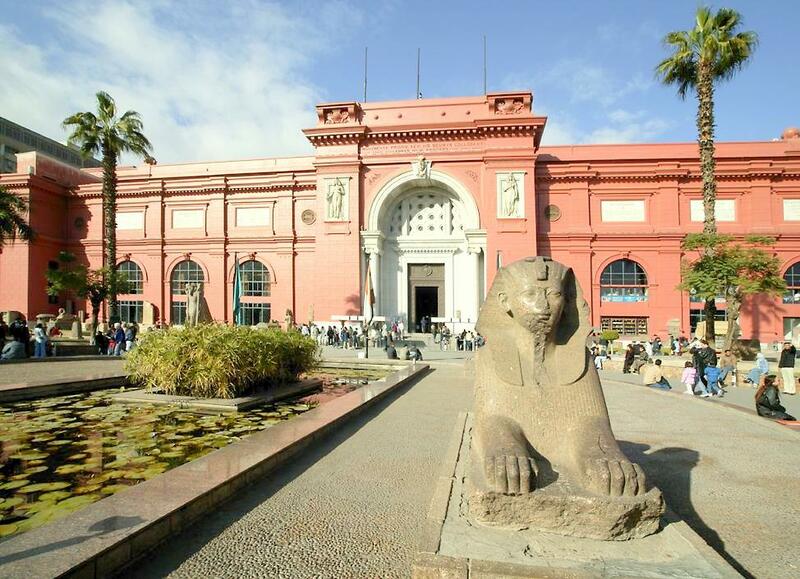 The first thing they discovered was the huge big shrine which is the canopic shrine on display at the Egyptian Museum. It is made of sheets of gold directly stuck on the wood. This was the outermost shrine. Randa also told us why mummification was done in those days. This was because the pharaohs believed that they could be resurrected after their bodies united with their soul. After having spent the major part of the morning and afternoon at the Egyptian museum, we drove to Giza . After we had grabbed a quick bite at a Pizza Hut close by, our guide gave us a brief background of how the first pyramid was built in Sakkara. 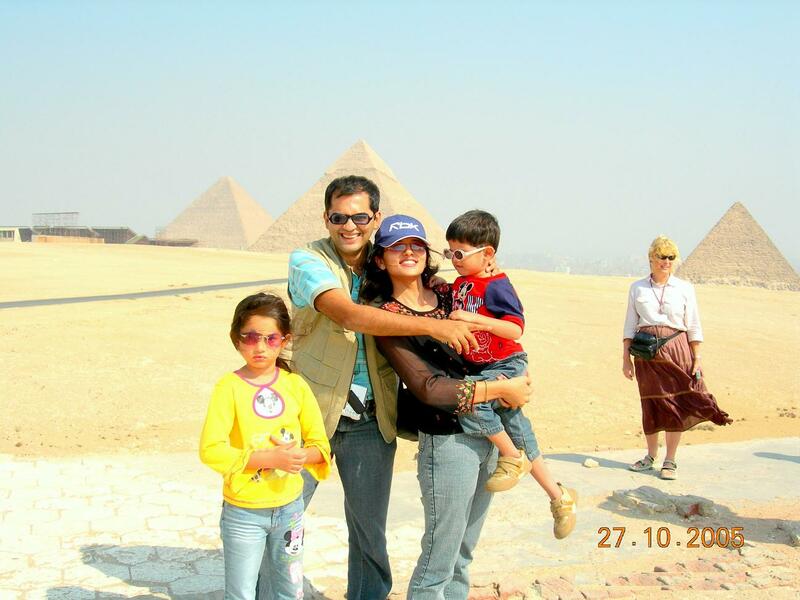 Then he took us to one of the most photographed places in Egypt – The Pyramids of Giza comprising of the Pyramids of Cheops, Chephren and Mycerinos. 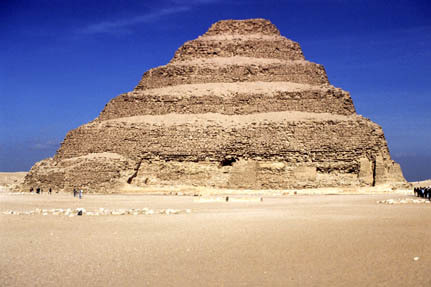 We were told that the first ever Pyramid built in Sakkara was also known as the Step Pyramid of King Zoser. It dates back to 2700 BC and is one of the oldest stone structures in the world. In Pyramids generally, the body was kept in a burial chamber under the ground and it was taken underground by a deep shaft. Above that there would be a platform made of mud brick. So there was a burial chamber, a shaft and mud brick. However, in Sakkara, they used stones instead of mud brick. As these interesting facts were being narrated to us, we arrived at the first Pyramid which belonged to King Cheops. 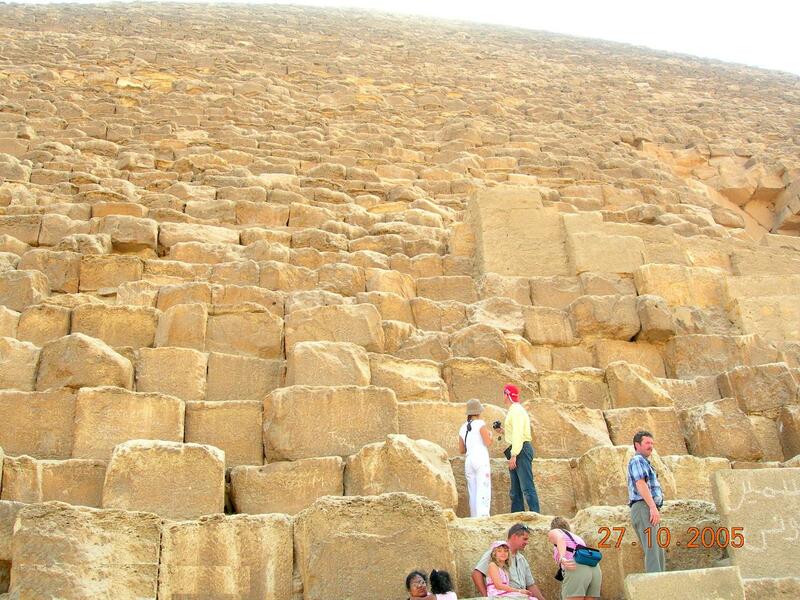 This Pyramid comprises of 2300000 (two million three thousand) stones which were counted by soldiers of Napolean. Each stone at the foundation or base weighs between 8 and 10 tons- no wonder the Pyramid is one of the wonders of the world! 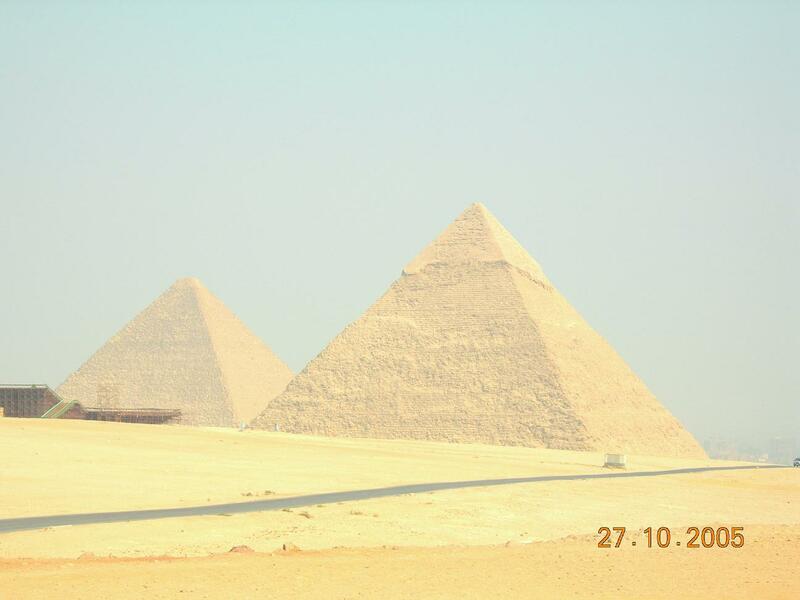 As the pyramid rises, each stone weighs from 2 to 3 tons. The Pyramid of Cheops is supposed to have four entrances out of which two entrances have been discovered. Excavators have still not figured out where the remaining two entrances to the pyramid are. This Pyramid is amazing as it is the only pyramid which is constructed in such a way that in order to descend into it, you have to ascend first – it is hollow from the inside. When you go inside the pyramids, you will find three chambers and the third chamber is where the remains of the King were found. From within the pyramid, there is a passage which takes you 30 metres below ground level where the cartouche of the King was found. Till date, no one has been able to figure out how the stones were transported from the top to the bottom of the Pyramid. It still remains a mystery. The original height of the pyramid was 147 metres. However today it is 136 metres tall as over the years 11 metres were lost from the top because of erosion. That is why there is a flat peak to the pyramid. One can go inside the Pyramid through the second entrance. However, limited people are allowed to go inside each day and you have to book your entry a day in advance. Near this Pyramid, there were three small pyramids discovered-one for the Pharoah’s mother, the second one for his wife and the third one for his son. Over 100000 workers built the pyramid and as a dedication to them, they were allowed to be buried next to the Great Pyramid where they were given rectangular tombs over their. Another interesting fact was that the Pyramids were built on higher ground compared to the city which is at a lower level. This was done to prevent the area from being flooded by the Nile . (Flooding used to happen during summer in those days). It is said that the Great Pyramid took almost 30 years to build and the size is so enormous that within the Pyramid you have enough room to fit the St Peter’s Basilica of Rome, the St. Paul’s and Westminster Abbey of London as well as the Cathedrals of Florence and Milan, all at the same time! The Great Pyramid is indeed an architectural marvel which has survived the passage of time. The first pyramid was built with a spiral staircase and we stayed close to the pyramid to admire its magnificence before moving south west to feast at the second largest pyramid- the Pyramid of Chephren. The Pyramid of Chephren, though second largest (almost 100 metres shorter than the Great Pyramid), appears bigger as it is built on higher ground. 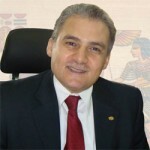 Chephren, in fact was the son of the Pharoah Cheops. He was also the oldest surviving male descendent of Cheops. It was at the time when the second Pyramid of Chephren was built (around 2500 BC) that the famous Sphinx was also carved. The Sphinx is known to be the largest piece of sculpture ever carved by man. The Ancient Egyptians recognized the Sphinx to be the sun-god. The Sphinx is so called as it represents Horus on the Horizon. This unique sculpture with the body of a lion and face of a man is 20 metres in length and 73 metres in height. We soon moved on to the Third Pyramid- the smallest of the three – the Pyramid of Mycerinos – the successor of Chephren. 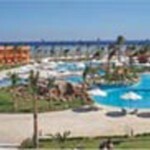 This area is called the Pyramids complex which comprises of all the three pyramids as well as the Sphinx. The entire area is said to have belonged to King Chephren. The Sphinx was built here to be the guardian of the Necropolis or the City of the Dead. The name ‘Sphinx’ is derived from the Greek name “shesep-ankh” which means ‘the living image’. 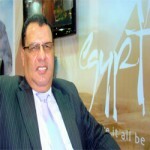 The Arabs later called the Sphinx Abu-Al Hol which means ‘the one who terrifies’. The Sphinx itself has its own interesting history. When the Necropolis was abandoned, the Sphinx got buried in sand until it was excavated around 1400 BC by Tutmosis IV – the Eight Pharaoh of the 18th Dynasty. This Pharoah fell asleep beneath the giant head and he dreamt that he would be crowned King only if he excavated the Sphinx. However, it was only in 1817 that the Sphinx’s chest was uncovered completely and the Sphinx was eventually dug out completely in 1925. Thereafter the restoration work continued intermittently till 1997 after which it stopped completely as there was a legend at that time that anyone getting close to the Sphinx would be totally destroyed. Therefore, half the Sphinx is covered in limestone and the remaining half is a solid block. Between the legs of the lion, there is red granite which is almost spherical. Interestingly, the facial expression of the Sphinx has changed since it was built and its long beard is missing – you will find it in the British Museum in London. One of the most intriguing facts related to the Sphinx is that there were no lions in Egypt! However, the body of the Sphinx is that of a lion as it signifies strength and power that only a lion possesses. This body connects with the head of the human being which signifies intelligence and wisdom. So if you put these together – strength, power, wisdom and intelligence – it signifies that you are at the level of perfection of humanity. That is what the Pharaohs thought themselves to be. The other interesting part of the Sphinx is the story of the missing nose. (You see an adhesive advertisement here in Mumbai which shows the nose being stuck with Fevicol. One story says that the nose was fired off by a canon ball shot by Napolean’s soldiers. However, another story says that it was an Islamic fundamentalist who destroyed the nose and intended to destroy the whole statue as he wanted to get rid of paganism in Egypt. 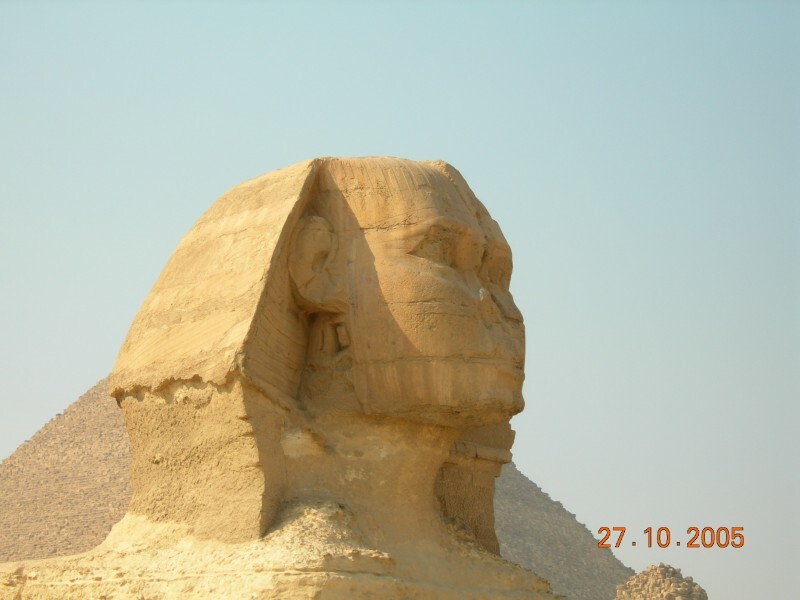 There is another interesting mystery about the Sphinx – if you stand close enough to the Sphinx and stare at the lips for a few minutes, you will feel the lips of the Sphinx to be moving up and down. In fact, it was this movement that inspired the sound and light show at the Pyramids. 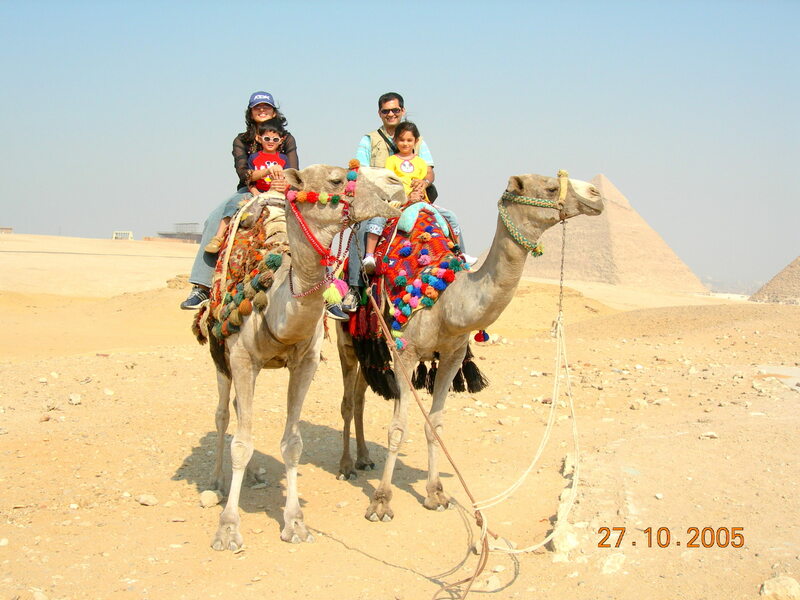 The highlight for my children was taking a camel ride around the pyramids. They also found entering the Pyramid of Mycerinos interesting. I wouldn’t really advise entering this pyramid for those who are not that energetic. It was my son who had a great time getting in and out of the Mycerinos pyramids as the steps which descend into the pyramid and come out were tailor made for his height. Most of us had to sweat it out to enter and get out of the pyramid as we had to bend by almost 90 degrees and pass through the narrow passage way. No wonder everyone envied my 3 ½ year old son and to some extent my 7 year old daughter wishing to be of their height to enjoy the short descent and ascent into and out of the pyramid! Frankly, there wasn’t much to see inside except for the little adventure for the kids who were wondering what was within these magnanimous structures. The camel ride thereafter was a great experience not only for the kids but for me and my husband too. As the saying goes that never let the child die within you.We all got our last close view of the pyramids on camel back. It was one of the highlights of our Pyramid tour that afternoon. After unraveling the mystery of the Pyramids and Sphinx we headed to a shop called ‘Ani Papyrus’ which in Giza to understand how the famous Papyrus paintings are made.